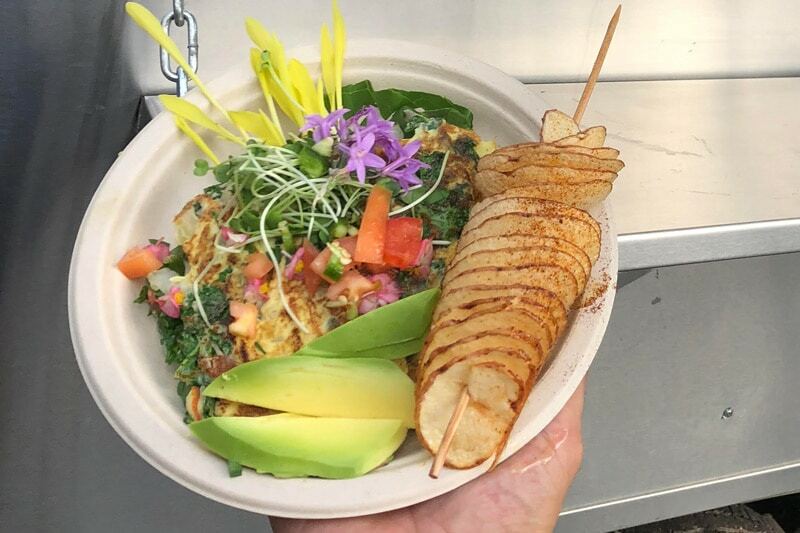 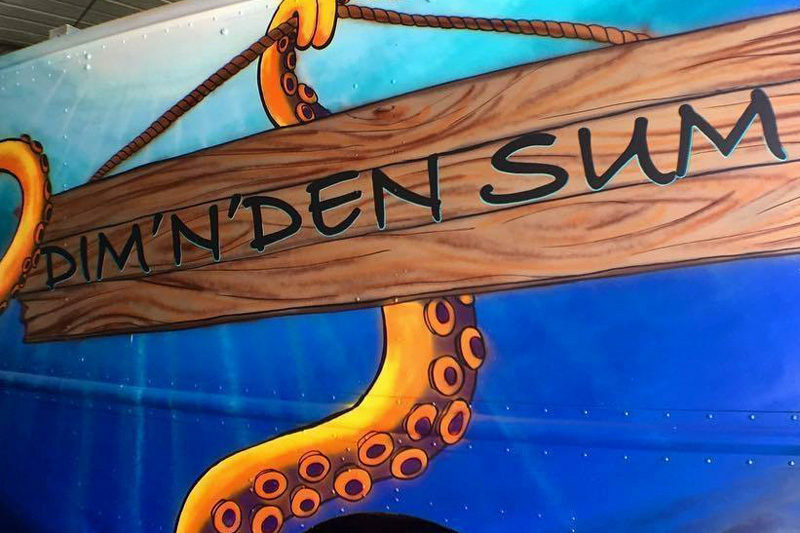 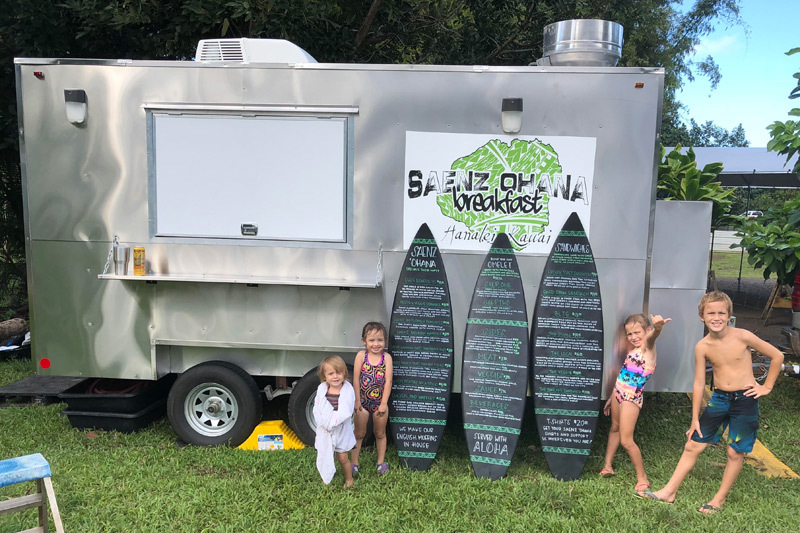 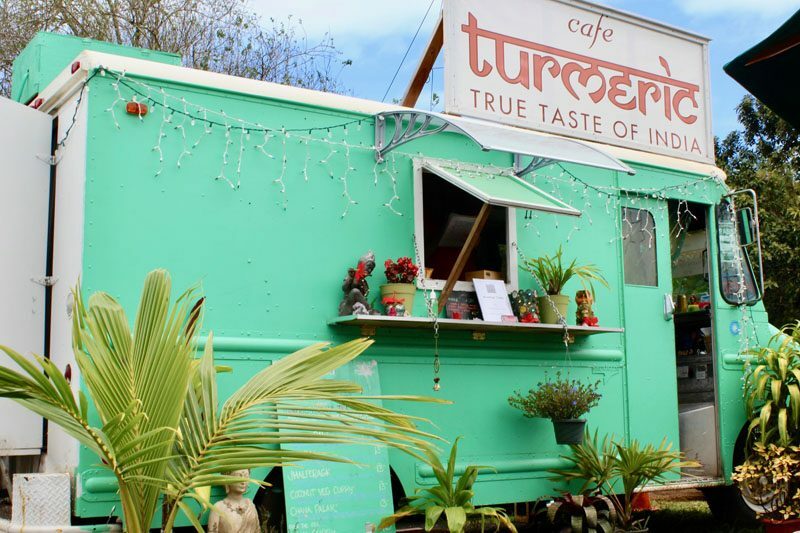 Chef Juan Saenz operates a family run food truck in Hanalei. 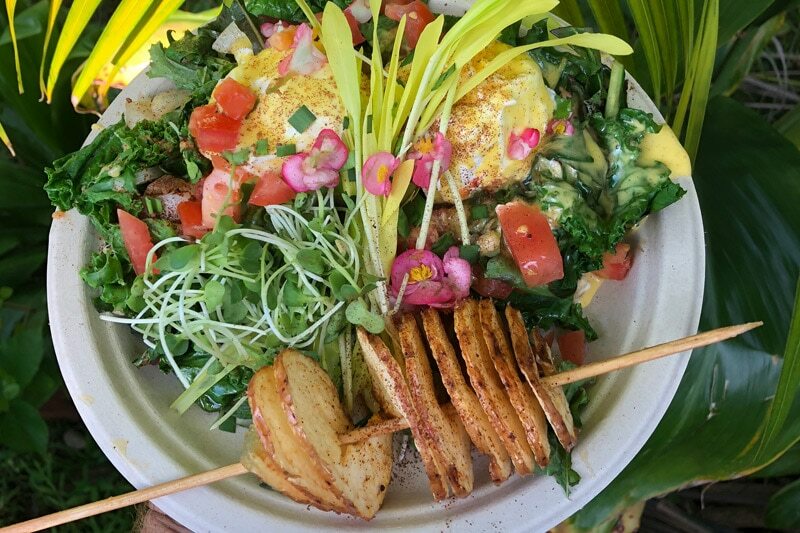 Everything they serve is made from scratch and original recipes using fresh, local ingredients and organic veggies. 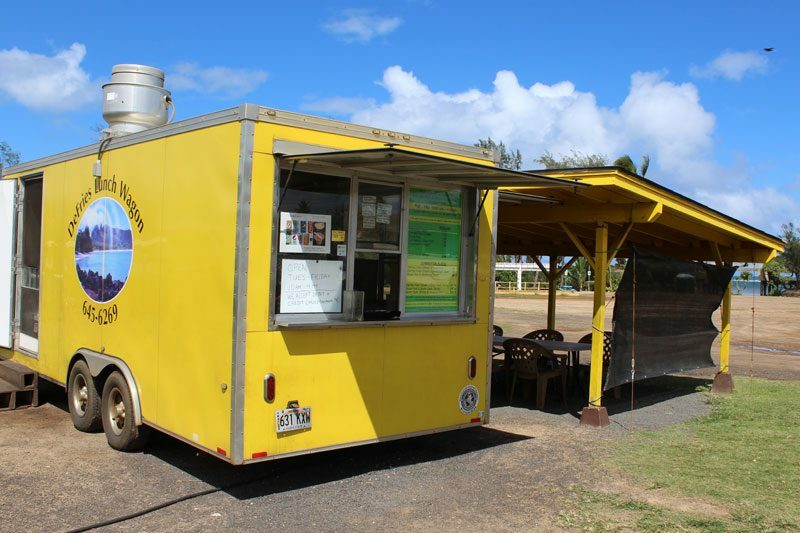 They are known for their Kalua pig eggs Benedict made on homemade English muffins and for large portions! 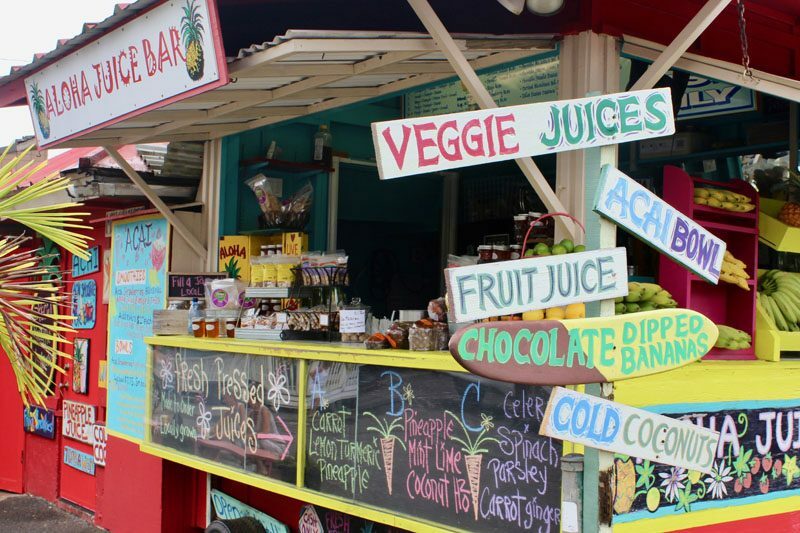 No phone orders please.